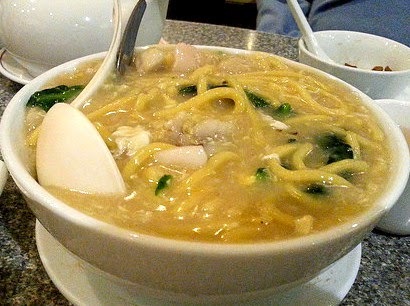 Singapore Lor Mee originated from South Chinese Hokkien Dish. 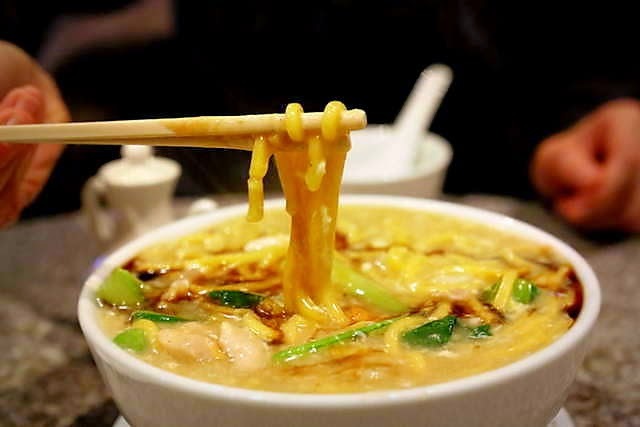 A bowl of thick yellow noodle, covered in thickened seafood soup. Normal toppings will include braised pork belly, ngoh hiang, fried fish, grated garlic and a dash of black vinegar. My first encounter with Lor Mee in Singapore was more than 8 years ago, during the time when Lor Ah Soo wet market was having a renovation and moved to a temporary location. To my surprise, it was so much different from the Lor Mee that I ate in a Malaysian Restaurant during my uni days in Melbourne. Malaysian Hakka Lor Mee - Wah Kee - Clayton, VIC Australia. Since my MIL like this dish so much, I decided to give it a try. Unfortunately Singapore Lor Mee was not what I expected and I was not able to finished the portion that I ordered. From that day onwards, it never crossed my mind to order Lor Mee. Recently, I was asked by a SMU student doing her social media project to give this place a try. Curiosity got the best of me, so I decided to give this place a try. 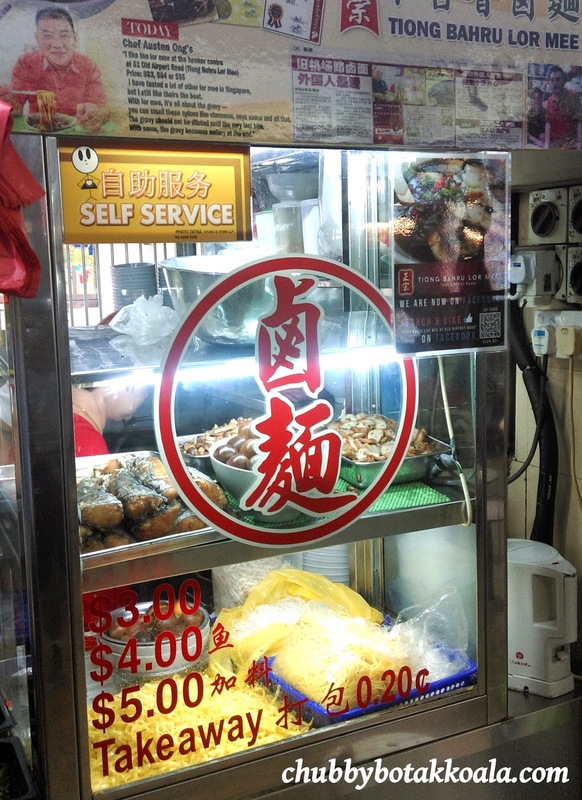 Like the name, Tiong Bahru Lor Mee originated from the popular Tiong Bahru Market. I ordered the $5 version which has fried fish and additional toppings. The thick flat noodle was cook just nice. Slightly springy, or to borrow the Italian phrase 'al-dente'. Toppings include braised pork belly, braised egg, ngoh hiang and fried fish are tasty and well executed. I can't say I did not try, but my taste buds just can't agree with the combination of garlic, black vinegar and thick seafood soup. The garlic taste is just too overpowering, however without it, the soup base is not robust enough to provide flavour to the noodle. Truly an acquired taste needed for this dish. Overall, the Lor Mee here is better than the one I tried eight years ago. Everything is nicely executed, but it is just not for me. On the positive note, I finished all the fillings except for the gravy. For Lor Mee lovers, I do recommend this place for them to try. Cheers! !